I am tired of all the Obama people who are still in the limelight. They need to go crawl back from whence they came and never talk to us again. The damage they did to this country, and the damage they continue to do to this country, is extremely upsetting. The Russia probe has ruffled a lot feathers after the revelation of some anti-Trump texts from FBI agent Peter Strzok. He called the President an “idiot” and was taken off the Russia investigation in July. It is still apparent that Robert Mueller is not impartial in this matter and has chosen biased people to run the investigation. This has sparked some to call for Mueller’s resignation. This whole Russia thing is a joke. Do you remember when this broke? 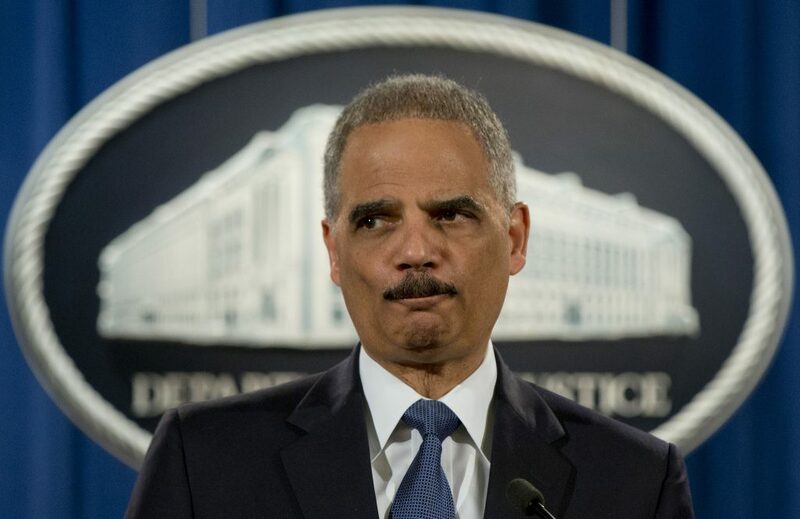 Eric Holder, the disgraced former Attorney General and Obama puppet, has weighed in on the situation. The nerve this guy has. The absolute hubris to stand there and say this with a straight face is the pinnacle of hypocrisy. The things this former Attorney General let happen were some of the most egregious things in the history of this country. This whole Russia thing is a political hit job. There still is no proof of any wrongdoing, any “collusion,” or any smoking gun. The tweet went viral, obviously, as people got pretty upset. Former Army Ranger and Benghazi survivor Kris Paronto saw it and he fired back with his own tweet. I couldn’t have said it any better. He is a rat that was a puppet for one of the worst and most corrupt administrations this country has seen. Do you agree with the Army Ranger?